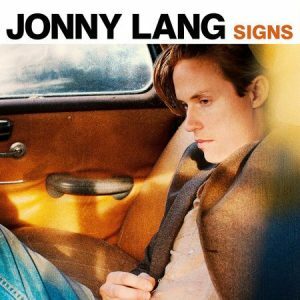 Former teenage sensation Jonny Lang powers out of the gate with a Delta feel on his latest release, but quickly evolves into high-energy blues rock as continues to re-invent himself in a path that began heavily influenced by mainstream guitarists Buddy Guy, B.B. King and Albert Collins. Now 36-years-old, married and with children, the Minnesota native was only 13 when he released his first album, Smokin’ in 1995. And he still wasn’t old enough to drive when his second, Lie To Me, put him on the map internationally as a talented string-bending blues shouter, earning multiple platinum honors in the process. A Grammy winner in the rap/gospel category in 2006 for Turn Around, Lang’s fiery fretwork has been on display throughout the five subsequent releases that followed as his sound progressed into old-school R&B and gospel. With this one, however, he returns closer to the root despite the rock overtones with a hint of Robert Johnson and Howlin’ Wolf occasionally bubbling to the surface. “I’ve been appreciating how raw and unrefined that stuff is,” Jonny says. “I had an itch to emulate some of that, and I think it shows in the songs.” At the same time, he notes, he let the tunes on Signs, his first major release in four years, write themselves. 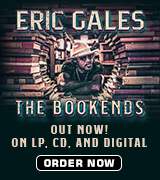 Touching on blues, rock and funk, most are somewhat autobiographical as they deal with themes that range from inner battles to personal empowerment. Recorded in Los Angeles and Nashville, the disc features Lang on rhythm in addition to guitar and the work of bassist/guitarist Drew Ramsey and keyboard player Shannon Sanders, both of whom co-produced and added backing vocals. They’re augmented in the studio by Dwan Hill, Dennis Dodd and Josh Kelly. Hill adds keys, and Kelly adds vocals with additional contributions from Court Clement (guitar), David Davidson and Carole Rabinowitz (strings), Jim Anton (bass), Barry Alexander, Walter Earl and Dan Needham (drums), and Nickie Conley, Jason Eskridge and Debi Selby (backing vocals). The action kicks off with “Make It Move,” which would comfortably fit in any juke joint as it delivers the message not to be proactive in solving life’s problems instead of sitting and waiting for things to happen. Things heat up for “Snakes,” which delivers the message not to be overconfident, that life’s problems can arise at any time when you least expect them, driven forward by a simple guitar hook and featuring a tasty call-and-response chorus. Based off a hook provided by Ramsey, “Last Man Standing” rocks hard as it wonders why Jonny’s still upright, yet hardly falling before he breaks out the slide for the title tune, “Signs,” a simple, direct statement about all the craziness occurring in the world today. The mood brightens and the riffs quiet momentarily for “What You’re Made Of,” about the blessings we receive when we finally achieve true inner knowledge about our own beliefs and desires. The ballad “Bring Me Back Home” provides another major change as it quietly and tenderly features Lang accompanied by keyboards. It’s a smile love song that will put a smile on your face after the heavy subject matter that’s come before. Another Delta-inspired tune, “Wisdom,” deals with a boy who won’t heed the warnings until it’s too late to turn back before another ballad, “Singing Songs,” brings the disc to a close. Jonny’s traveled a long way from the old-school blues of his youth, and Signs provides another fascinating turn in his musical road. 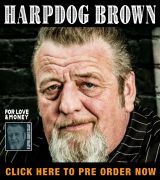 Available through most major retailers, you’ll like it if you like your tunes modern and don’t mind that aren’t necessarily blues.